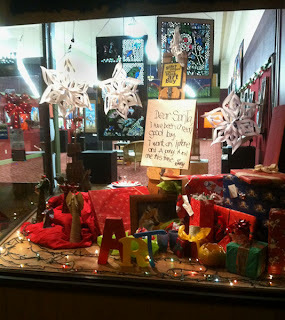 The window at the Short Term is decorated - along with a lot of other colorful shop windows on Main Street. 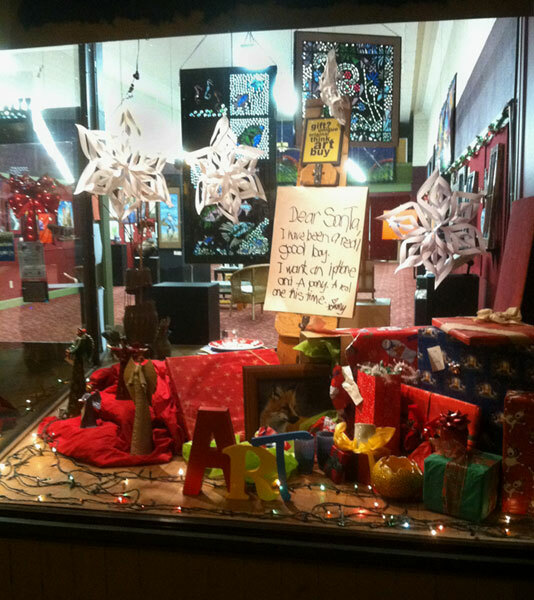 The Gallery is filling with artwork from over 35 regional artists for holiday gift giving. There won't be a featured artist for December - we feature all of our artists! First Friday, December 7th. And don't forget to see some of our artists at the Outta the Box Bazaar December 7th and 8th.